We offer a range of dust and particulate monitoring equipment. All our scientific testing instruments are designed and developed in-house by our team of specialist engineers. We currently supply our dust and particulate monitors to clients of all shapes and sizes all around the world for use in a range of settings. They are routinely used on industrial sites, in manufacturing plants and by local authorities, councils and those involved in scientific research in this field. 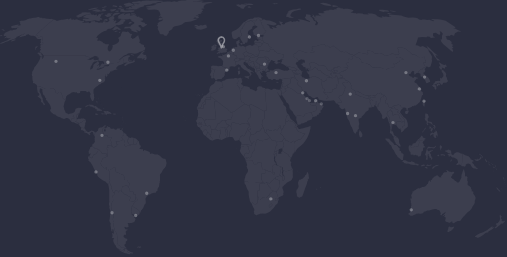 Our monitors measure TSP, PM10, PM2.5 and PM1: the recognised sampling standards measured throughout the world. In workplace mode, they can be used to monitor inhalable, thoracic and respirable fractions. They are accurate and straightforward to use. 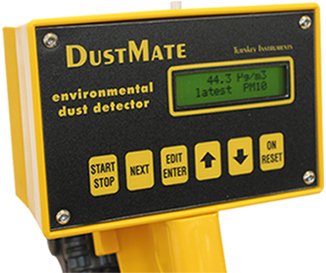 All Turnkey’s dust monitors are compatible with the AlarmBox which can be set up to provide audio or visual alarms of predetermined levels of pollutants are reached or exceeded. For more information on how our air monitoring equipment is being used please take a look at our news section. Turnkey’s air monitoring and testing equipment can be used with our AirQ software and apps. Designed in-house by the experts at Turnkey, the software is user friendly and ideal for managing and displaying results.